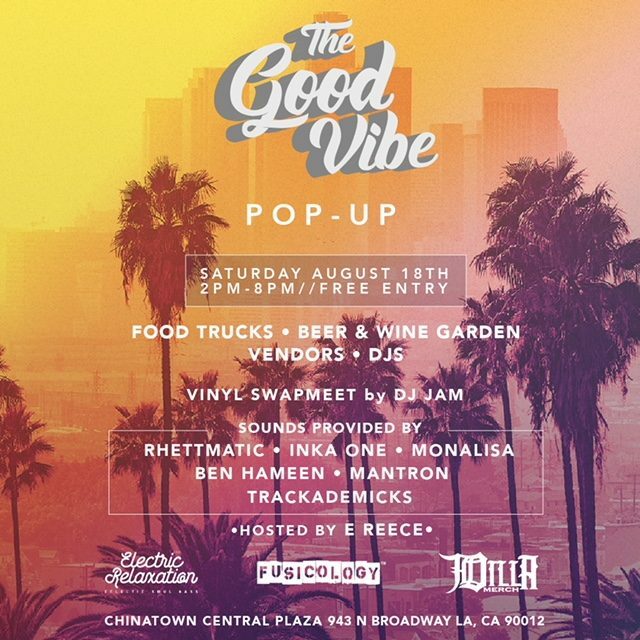 Saturday 8.18 is The Good Vibe! Good music, good people, good vibes! Featuring a curated selection of vinyl, apparel vendors, food trucks and more…plus a Sangria/Wine/Beer Garden for those looking to unwind! Catch a Vibe with us this Saturday!! Hosted by yours truly! Vibes provided by DJs Rhettmatic, Inka One, Mona Lisa, Mantron, Ben Hameen & Trackademicks!